Grey, silver and platinum hair colours are not just a trend that comes and leaves. In fact, they have persistently dominated the fashion scene for several years now. The maintenance of such cold tones is however harmful to hair. NATULIQUE now offers hairdressers a nourishing, certified vegan Pure Silver Hair Care and Styling Collection to neutralise yellows and create ashy tones and silver reflections without damage. Two weeks ago, the Danish professional hair colour brand celebrated their 20 years anniversary at the NATULIQUE World Beauty Forum in Paris. When CEO and Co-Founder Mette Lykkegaard announced upcoming product innovations, one of them created particular excitement amongst the present guests: The new certified vegan Pure Silver Hair Care and Styling Collection allows hairdressers to maintain and renew ashy and silver tones without causing damage or dryness. Added colour pigments remove and prevent yellow and orange tones and create a silvery platinum lift on blonde and grey hair. In a first step, The Pure Silver Shampoo is cleansing and nourishing hair with certified organic ingredients such as Mango, Blueberry and Olive Leaf Fruit Extract. The Pure Silver Conditioner then moisturizes and softens strained hair with certified organic Apricot Kernel, Almond, Olive Fruit and Sunflower Seed Oil as well as Licorice Root Extract. Left in for five minutes each, Shampoo and Conditioner create the best silver effects if they’re used once or twice weekly. For silver-treatment on the go, the Pure Silver Hair Mousse with organic Aloe Vera, Acai and Mango Fruit Extract enhances the collection as a colour pigmented leave-in conditioner to detangle damp or dry hair. Self-evidently, all three products are low-tox, cruelty-free and packed sustainably. 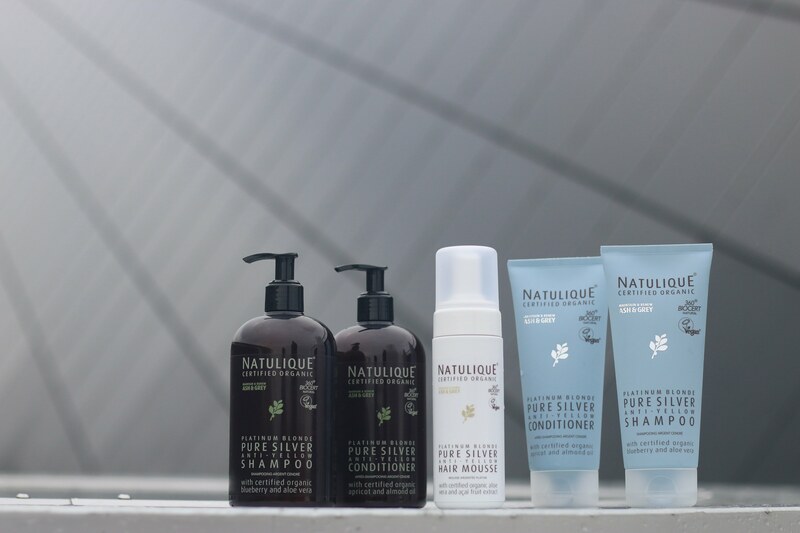 With the new Pure Silver Collection NATULIQUE is the first professional hair colour brand worldwide to introduce 100% certified vegan colour pigmented Shampoo, Conditioner and Hair Mousse. Apart from the silver line, Mette Lykkegaard announced many more innovative products to be released before the end of the year. “With the upcoming products, we particularly want to enhance the opportunities for our vegan hairdressers”, Lykkegaard says. In the current year, the Danish company has already released more than six new products. With the new silver line, NATULIQUE now offers 13 certified vegan hair care and styling products.